200,000 USG and 15,000 USG UIG-EVERSTORE NSF61 Certified Bolted Water Storage Tanks in Pocahontas, Arkansas for PECO Foods, Inc. The smaller tank was installed inside the Mechanical Room. 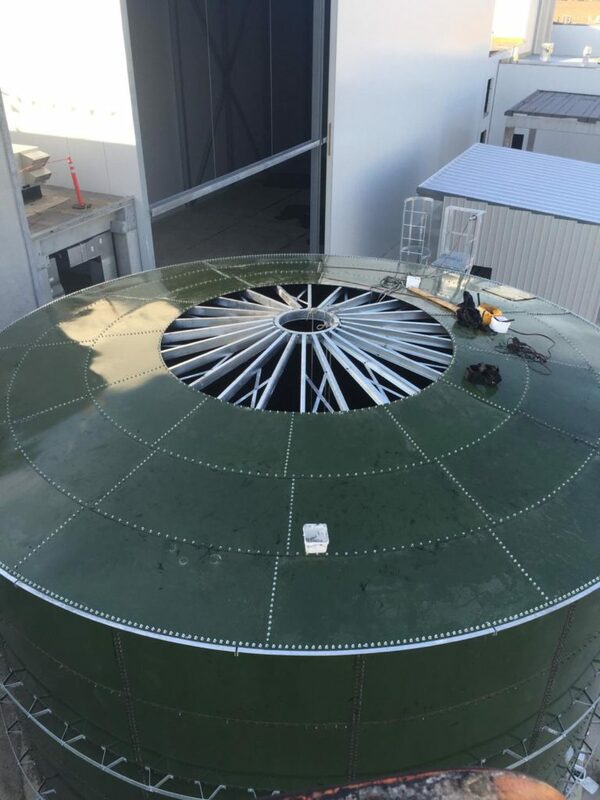 The doorway was too small for a shop fabricated welded steel tank so our prefabricated sectional glass fused to steel bolted tank was a perfect solution for this application. 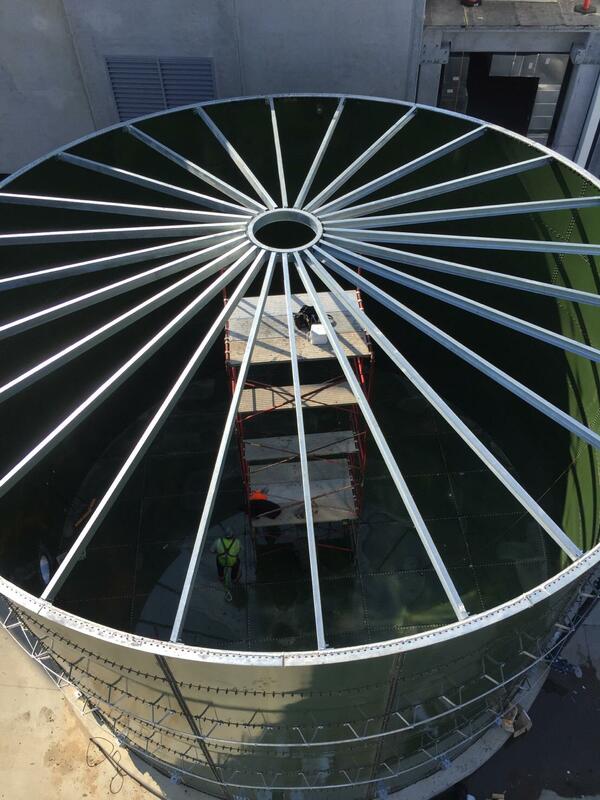 Tanks are with bolted glass fused to steel floors and 2:12 cone decks.